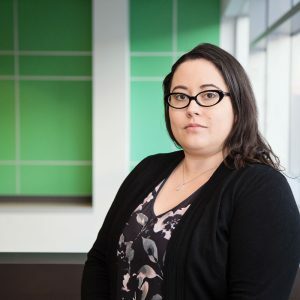 After receiving a PhD in anthropology from the University of Alberta (UofA) in 2015, Megan accepted a two-year Postdoctoral Fellowship in Knowledge Translation for Health Policy with the CANHelp Working Group in the Department of Medicine at the UofA. In addition to serving as the Qualitative Research Management Lead for the interdisciplinary research team, Megan led four community-driven projects focused upon stomach health and community perceptions of cancer risk and environmental health that she developed in partnership with Indigenous communities in the NWT and YK. A key feature of these projects was their emphasis upon visual approaches for engaging children and youth in community based participatory health research. In addition, Megan also conducted an ethnographic project with adults in Aklavik, NWT aimed at addressing barriers to culturally appropriate care and challenges surrounding treatment for H. pylori infection in remote arctic communities. Megan is a former Killam Scholar and SSHRC scholarship recipient. Her doctoral research was awarded a Dorothy J. Killam Graduate Prize and her postdoctoral research with the CANHelp Working Group was supported by three CIHR grants and award that she held as the principal applicant.